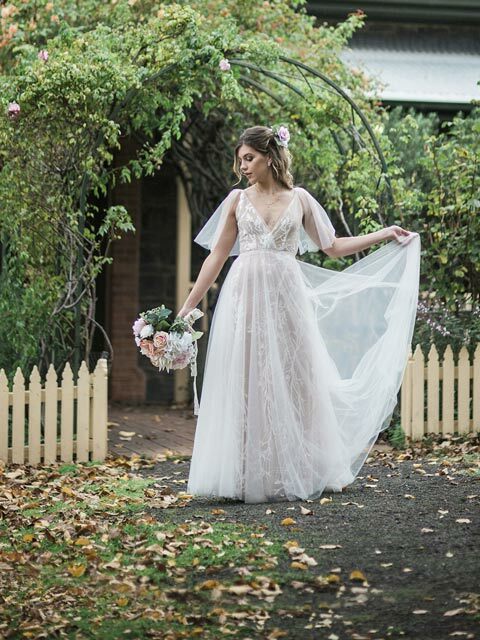 The Tamworth Vintage Wedding Dress will make you want to singing a song of delight. 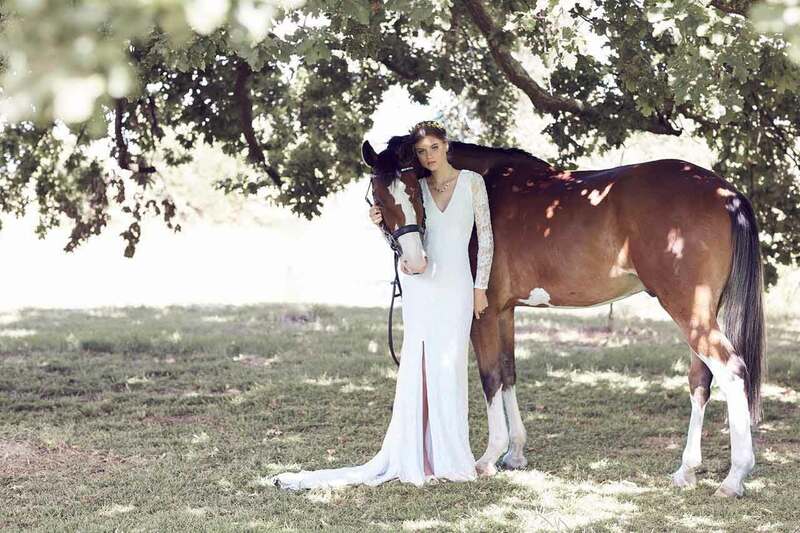 Inspired by the Australian country side, this dress will be loved by country and city girls alike. A keyhole lace backless feature will stun and delight. 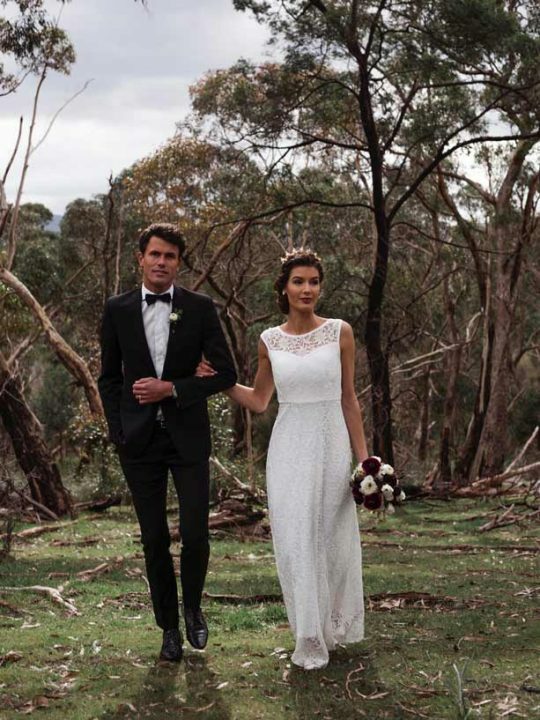 The Tamworth gown is a perfect example of vintage wedding dresses. It is a statement from every angle! From the low back to the lace sleeves. And is so delightfully on trend this year. This dress is a marvel to wear and not to mention just the right mixture of sugar and spice. 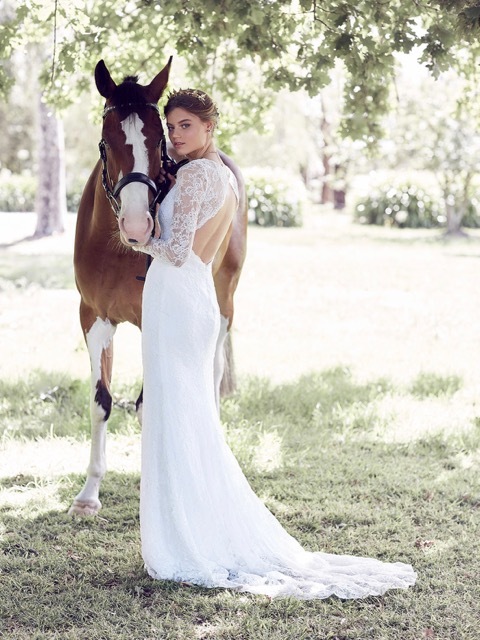 Traveling with your Tamworth Vintage lace gown is a breeze. This gown loves to travel and will be happy to be carried or packed in to the top of your luggage and then simply hung at its destination, maybe Vegas, Bali or Bora Bora. Made from two layers of high quality jersey with a slight stretch. The bridal lace overlay has a slight stretch also. The lace is in a continues pattern from the top to the bottom. 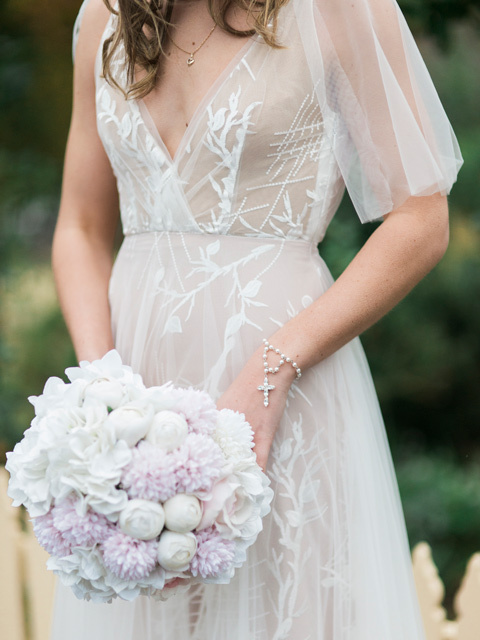 Featuring pretty bridal lace that has a uniqueness and inconsistencies as the pattern and texture are natural. The Tamworth Vintage style is low crease and can be folded and put in to your suit case with ease. Not to mention wearing this dress will not restrict your breathing and therefor you be able to eat, drink and be merry with out a worry in the world. 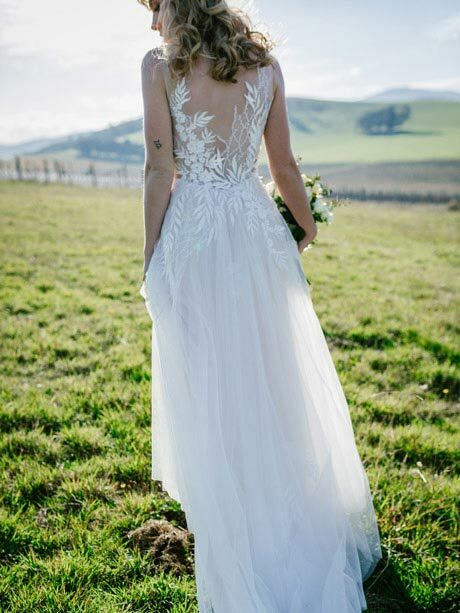 Features of the Tamworth Vintage wedding dresses. Size: Available in sizes 6 to 14. Please allow 8 weeks for the making of this dress to a standard size if we are out of stock. Please view our size chart here. *Alterations such as shortening the hem line will most likely be necessary. Your local dress maker will be able to do this for you quite easily. Make sure you are wearing your bridal shoes when hemming. We recommend a hem length of 1cm to 3 cm off the ground. One of the many vintage style gowns made in Australia by Hello Lovers. Also bridal jewellery to compliment your gown. The Australian city of Tamworth is the centre of every thing country! from the second largest country music festival to the towns love of horses. Tamworth has pristine waterways and beautiful national parks. That offer ample opportunities for bush walking, rock climbing, paragliding and off-road adventures, fishing, and bird watching. Tamworth is famous for being the National Equine Capital of Australia. So naturally we had to include a horse in our campaign photos. Meet Hamish, our beloved Hello Lovers horse model.